The University of Michigan in Ann Arbor has received a $20-million D. Dan and Betty Dahn Foundation gift to expand collaboration among researchers at the university, Technion-Israel Institute of Technology, and the Weizmann Institute of Science in Israel. The three organizations have worked together since 2011 on nearly 50 competitively funded research projects as part of the Michigan-Israel Partnership for Research and Education. The partnership is funded by philanthropic gifts and supports research, innovation, and collaboration in fields ranging from biomedical sciences to engineering. With the gift, the foundation has given a total of $25 million to U-M for the partnership. Researchers from the three institutions gathered in Ann Arbor as part of the seventh-annual D. Dan and Betty Kahn Symposium. The gift will support two large inter-university research projects, the annual symposium, and smaller-scale collaborative projects. One of the projects aims to discover new principles and create new technology in autonomous robot science. “While autonomous vehicles have been pushing the boundaries of what robots can do without any human guidance, the greatest impact robots can have is by being right by our side,” says Alec D. Gallimore, the Robert J. Vlasic dean of engineering, the Richard F. and Eleanor A. Towner professor, an Arthur F. Thurnau professor, and a professor of aerospace engineering at U-M. Researchers on the second project plan to develop tools that enhance privacy and computational effectiveness in big-data analytics in precision health. “When it comes to precision health, we have tremendous opportunities to advance scientific discovery and implementation with the right technical, clinical, regulatory, and communication strategies,” says Marschall S. Runge, executive vice president for medical affairs and dean of the U-M Medical School. 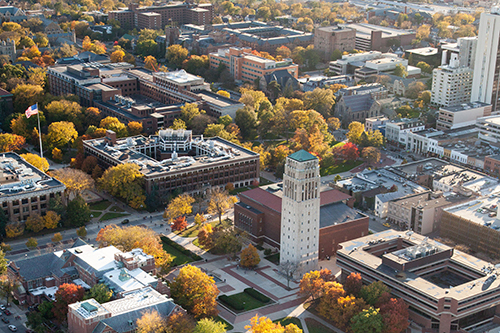 The partnership has also supported the exchange of 15 early-career researchers between U-M and either Technion or Weizmann. Founded in 1912, Technion-Israel Institute of Technology was Israel’s first university. The Weizmann Institute of Science is a multidisciplinary research institution. Next articleUniversal Logistics in Warren Acquires Utah’s Specialized Rail Service Inc.